About this Virtual Run: Help make strides for mental illness research by participating in the Striding Dead virtual 5k/10k/Half Marathon. Run or walk whenever and wherever you want to support the cause and earn this amazing 4″ glow-in-the-dark zombie medal. 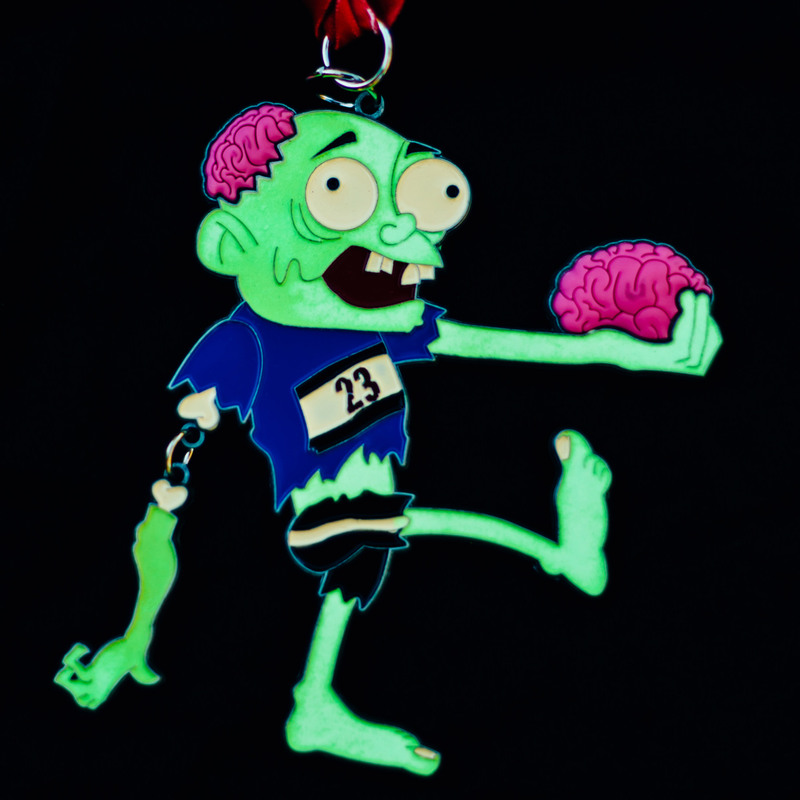 This undead runner’s arm dangles from his shoulder, and his 3D brain is actually squishy. You are going to LOVE this medal! About the Charity: The Brain & Behavior Research Foundation is committed to alleviating the suffering caused by mental illness by awarding grants that will lead to advances and breakthroughs in scientific research. Since 1987, this organization has awarded more than $360 million to fund more than 5,000 grants to more than 4,000 scientists around the world. 100% of all donor contributions for research are invested in NARSAD Grants leading to discoveries in understanding causes and improving treatments of disorders in children and adults, such as depression, schizophrenia, anxiety, autism, and bipolar, attention-deficit hyperactivity, post-traumatic stress and obsessive-compulsive disorders.